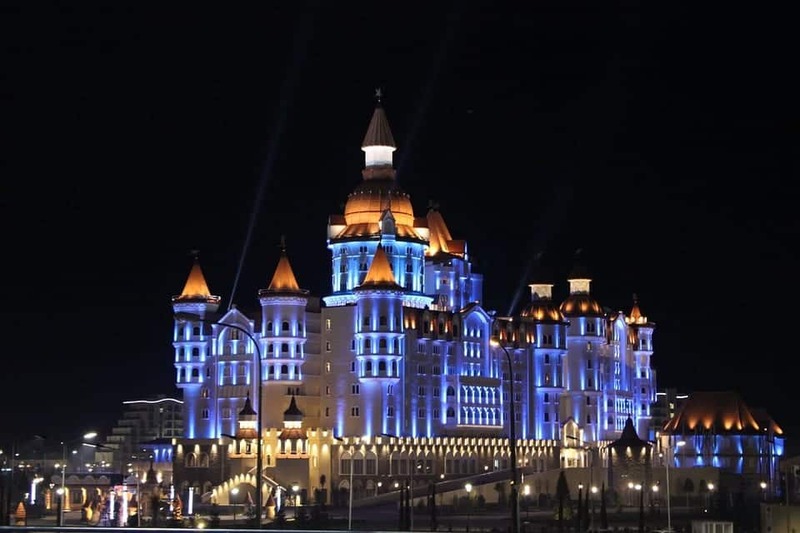 Although it likely was brought to the attention to most of the world by the 2014 Winter Olympics, the Black Sea resort city of Sochi has many assets that make it a great place to visit. 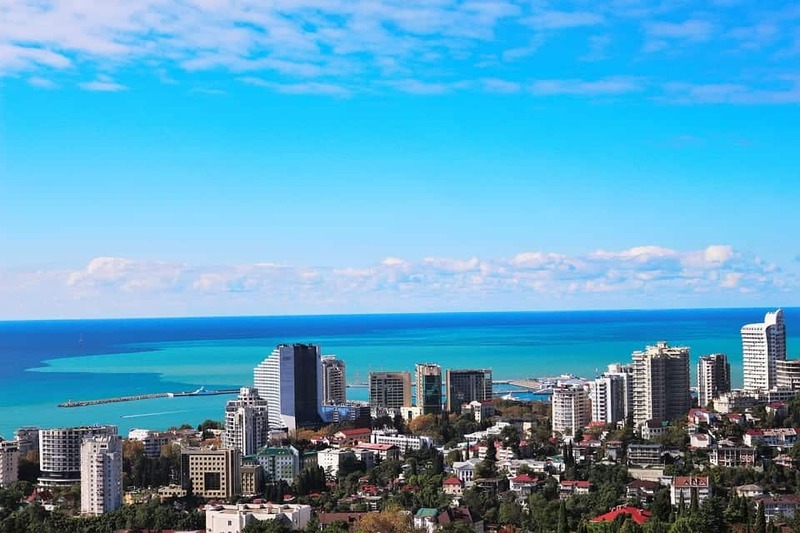 Spanning 145 kilometers across the coast of the Black Sea, Sochi is the second longest city in the world, giving it plenty of room to pack in many attractions that’ll keep you busy no matter how long your trip. Sochi is one of Russia’s most popular destinations. It’s also one of the few places on Earth where you can spend the morning on the slopes and the afternoon swimming in the sea. This is possible because Sochi has multiple mountain resorts that are open throughout the year, including the summer. Sochi’s popularity as a tourist destination began during the time of the Soviet Union, with people from all over Eastern Europe visiting for their annual holidays and has remained popular ever since. Like any good beach resort, there are plenty of nearby attractions and the goal of this article is to highlight the best things to do in Sochi. Krasnaya Polyana (the Beautiful Meadow) is one of the main reasons why Sochi is referred to as “The Russian Switzerland”. It is one of the most popular and most beautiful mountain clusters in all of Russia. 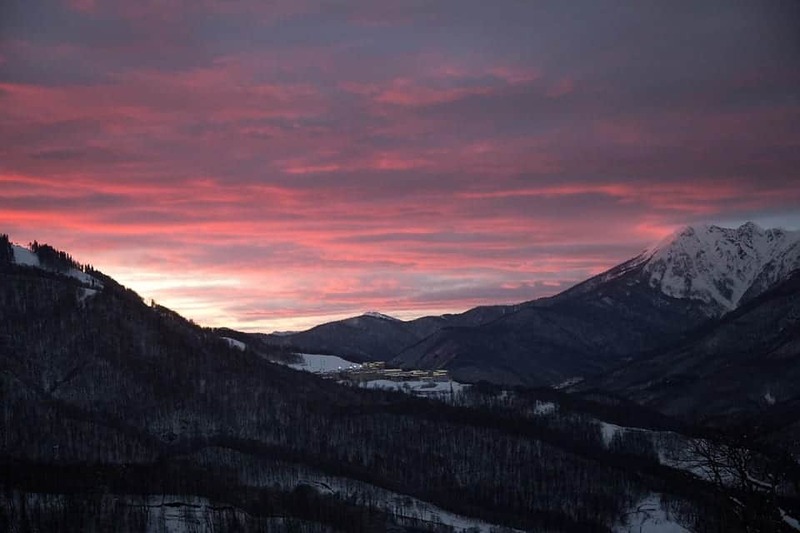 Krasnaya Polyana features brand-new facilities, stylish luxury resorts, superb ski slopes, hiking trails, and of course, traditional Russian saunas. It’s a fantastic place for practicing winter sports but also for enjoying the mountains and some of the most amazing views of the magnificent West Caucasus Mountains. The area surrounding the city boasts beautiful nature that features 33 waterfalls. These waterfalls are a part of the Dzhegosh Stream. There are both, large and small waterfalls, with the highest one set at 90 feet or 27 meters. The best time to go waterfall chasing in Sochi is the early spring. The snow starts melting from the Caucasus Mountains, feeding the falls with more water and making them look even more spectacular. 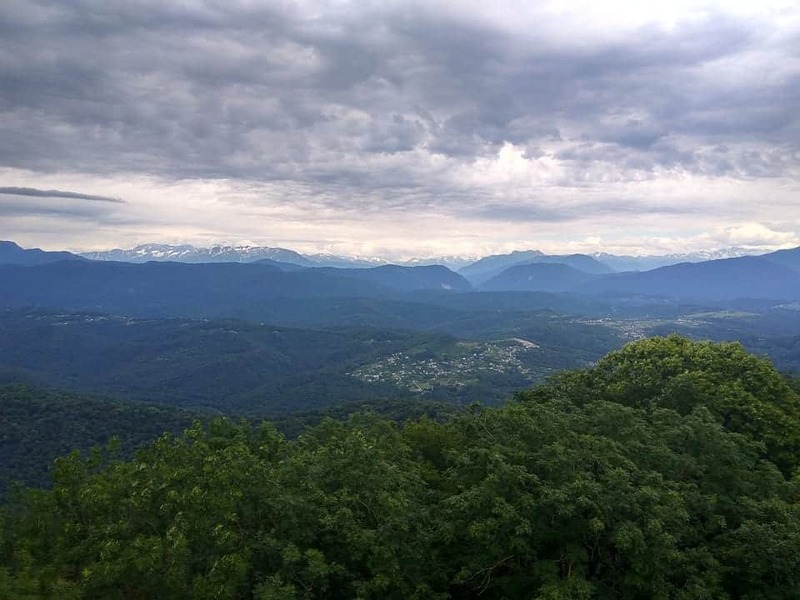 Located around 15 km away from the city center, Mount Akhun is a popular site for people who want to see the best views of Sochi and the Krasnodar Region. The mountain summit is marked by a fascinating 100-foot tall Romanesque tower. From here, you can enjoy panoramic views that stretch all the way to the remote coastal parts of Turkey. This tower was once a sacred site for the local Unykh community. On your way to the summit, you will find a monument devoted to the heroes of the Great Patriotic War. If you’re a history lover, you’ll definitely want to visit this site. Sochi has numerous different attractions for animal lovers. One of them is the Aquarium-terrarium, which features more than 200 species of birds, reptiles, and fish. If you have a particular love of owls, you’ll want to visit the Sovarium that describes itself as an “interactive exhibition of owls” with over 30 different types. A particular highlight is the Husky Center, which provides visitors with the opportunity to experience and learn about the culture of northern Russians, with a focus on the Siberian Husky – a breed of dog that is essential to human life in remote regions. In winter, guests are able to take part in dog sledding, being pulled along by the Huskies. Visiting Sochi’s Dendrarium will make you feel like you’re taking a trip around the forests of the world. Where all of them are located in one place. Sochi’s Dendrarium is one of the most diverse botanical gardens in Russia and the world. It features species from around the world organized in sections that represent different continents. Visiting this garden is a great way to get some fresh air and experience some amazing views of the Caucasus Mountains and the Black Sea coast. The Dagomys Tea Plantation is the northernmost tea plantation in the whole world. This tea plantation owes this unique status to the region’s microclimate and the fertile ground in the area. The plantation is a fully-fledged tourist attraction where a wide range of events and activities take place. You can participate in a traditional, 19th-century tea party in a Russian wooden log at the top of a mountain and listen to traditional Russian folklore songs. Many people that belong to the Russian elite have a holiday home in Sochi and the former Soviet dictator was no exception. Stalin’s Dacha has remained untouched since Stalin’s death in 1953 and many of his possessions are still in the dacha. The National Park in Sochi is the second largest in Russia. The park contains a lot of waterfalls, caves, gorges, and canyons that offer incredible views of the Caucasus mountains. It also has many accessible hikes that offer stunning views and a lot of camping spots where you can reconnect with nature. However, camping isn’t recommended due to the fauna in the area that includes bears, wolves, and leopards. The park also includes a lot of interesting places to visit. One of them is the Loo Byzantine Church from the 10th century, located at the top of the mountain. If you are looking for a fascinating insight into one of the oldest remains of Russia’s Eastern Orthodox Church, you really shouldn’t miss visiting this church. Not only is Vorontsovka one of the longest cave complexes in Russia but it also hides evidence of human existence dating back to over 20,000 years ago! This, along with the cave’s fascinating visual look draws visitors from around the world. You can enter the caves by foot from one of the many entrances in the slopes of the Kudepsta Valley. Take a look at the Olympic Park -for free! 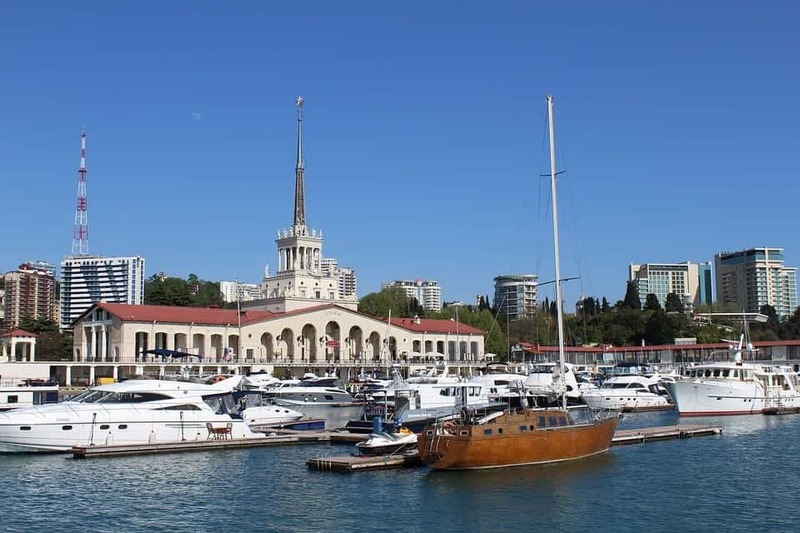 Outside of Sochi’s Olympic fame, sporting events are at the heart of this Black Sea city. It hosted a number of matches in the FIFA 2018 World Cup, has been featured on the Formula One calendar since 2014 and hosts a round of the 2019 World Poker Tour in January. Also, inside the Olympic Park, there are famous “Singing Fountains”, which provide visitors with a one-hour show of music and colorful, dancing fountains. Prior to the Winter Olympic Games, a number of modern sporting facilities were built, including the $50 billion Olympic Park. The park continues to host sporting events, including the aforementioned Russian Grand Prix and ice hockey games. It’s not just athletes that can use the facilities. The Iceberg Skating Palace is open to the public, allowing you to skate around on its two 1800m² ice arenas, practicing your figure skating skills, or perhaps just trying to not fall over. The entrance to the Olympic Part is completely free for all visitors. 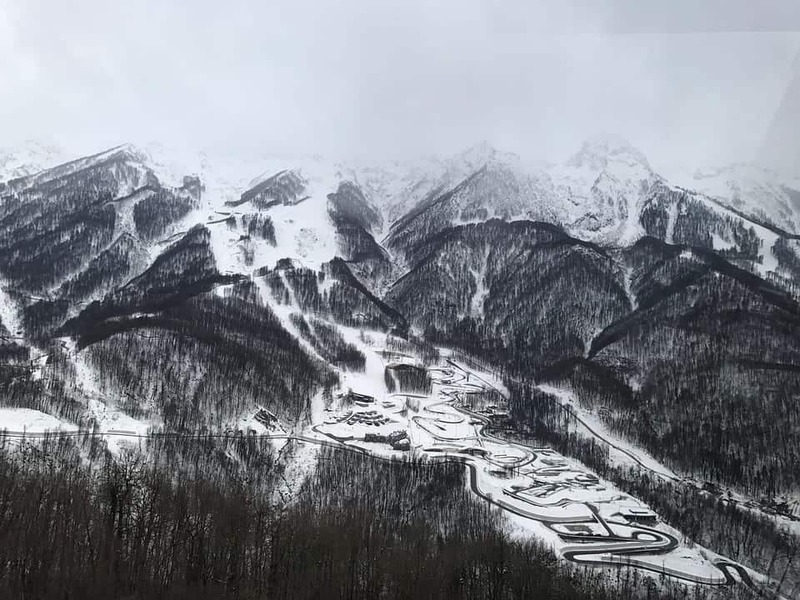 Rosa Khutor might not be so famous as its counterparts in Northern and Southwestern Europe but this part of Russia is an absolute must-visit for skiing enthusiasts. It’s the number one skiing destination in Russia that features some beautiful winter resorts, nestled deep in the Caucasus Mountains. The resort is one hour’s drive of Sochi and it was the main scene of the 2014 Winter Olympics. 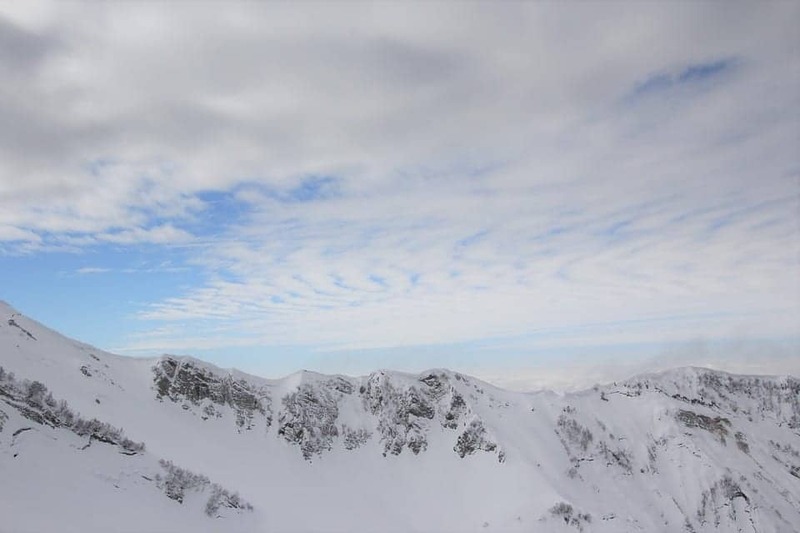 Rosa Khutor features 132 kilometers of ski slopes, 56 ski lifts, and multiple luxury hotels and fine restaurants. This district is one of the best destinations in Sochi when it comes to summer tourism. The district today is a peaceful country settlement with the potential to become one of the best seaside resorts in the region. There’s a range of different hotels in the district suitable for everyone’s budget with quite high service standards. Lazarevskoye even has its own private 5-star recreation center reserved for Russian celebrities. This is proof of the status this summer retreat has in Russia. 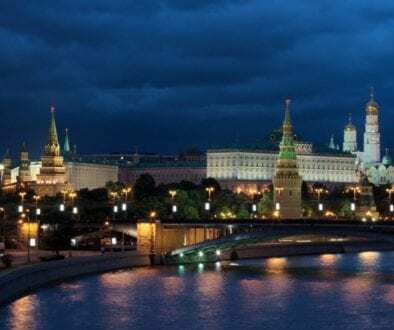 The best part is that the prices are still relatively low in order to stay competitive with the Russian standard of living since most of the visitors are still locals. Sochi is a city where you’ll find a lot of ancient ruins scattered across the city but there’s one site that’s the most impressive one of them all. I’m talking about Godlik Fortress. This fortress with a triangular shape was built around the end of the 4th century and it’s still in a great condition today, 1,500 years later. This is one of the most important historic sites in the region and visiting will make you feel like you’re stepping back in time. If you’re a history lover, this is one place you really shouldn’t miss while in Sochi. Sochi’s Art Museum has been around since 1936 and it’s obviously not one of the oldest sites in the city. However, it sure is one of the most visually-striking landmarks with its ornate classical architecture that will take your breath away and lure you to visit. After you enter the building, the experience becomes even better. The museum features a huge variety of artworks from different time periods from different parts of Russia. Visiting is also a great way to learn about the city as many of the exhibits featured in the museum are about Sochi’s fascinating and at times, turbulent history. No trip to Sochi is complete without trying the delicious local delicacy, Lavash. Lavash is a flatbread that’s the tastiest when it’s just taken out of the oven. In Sochi, you’ll find fresh lavash on every corner and many bakeries prepare it right in front of your eyes. The bread tastes even better with savory meals but locals also serve it with sugar and a cup of tea/coffee. You must have heard about salmon caviar. It’s arguably the most famous Russian delicacy. But what you might not know is that here in Sochi, you can find everything pertaining to caviar. If you’re curious about how caviar is made and placed on the market, you should definitely visit a farm in Sochi. This is where you can buy caviar for the lowest price since there won’t be any intermediaries between you and the farmer. 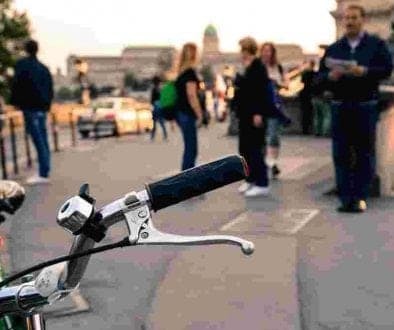 If you’re looking for the best place to eat and drink, head to Primorskaya Street. As you can see, Sochi is a city of many faces, allowing it to cater for almost every taste. 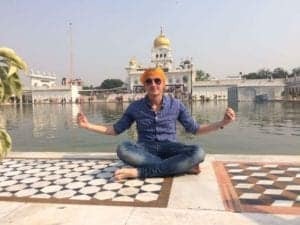 The recent regeneration and redevelopment brought on by the Winter Olympic Games, Formula One and the FIFA World Cup have helped to boost tourism in the area. 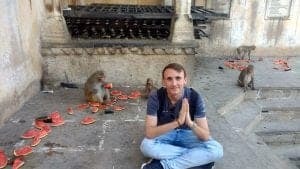 However, there were already plenty of other reasons for tourists to visit before this. Have you ever been to Sochi? Would you like to visit? Let me know in the comments below. Thanks for sharing. These photos are amazing! I never realized how beautiful this part of Russia is. Oh wow Sochi looks like such a cool place to visit. I am a great fan of outdoor actvities, thus Sochi would be perfect for me. I love that you can do both skiing and beaches! Indeed, Paulina. If that’s the case, I’m sure you’ll like it. There are so many things to do in Sochi. Skiing would be the most interesting activity there. Krasnaya Polyana Mountain Cluster looks magical. The Olympic Park is a must visit for free. Exploring the cave complex is a cool idea too. 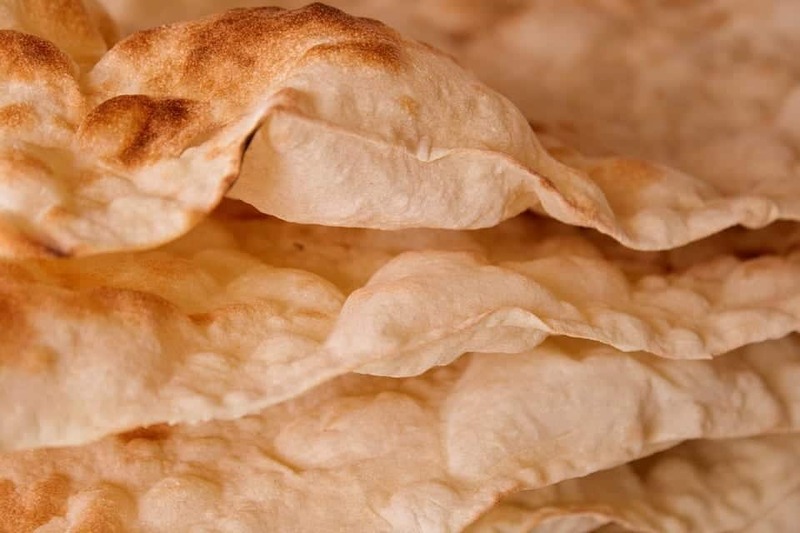 Lavash is surely similar to Indian papad. I am surely going to try it out when in Sochi. Thank you, Shreya, and I’m glad you could get some useful suggestions from this post. The lavash bread looks like the Indian one, is it similar? 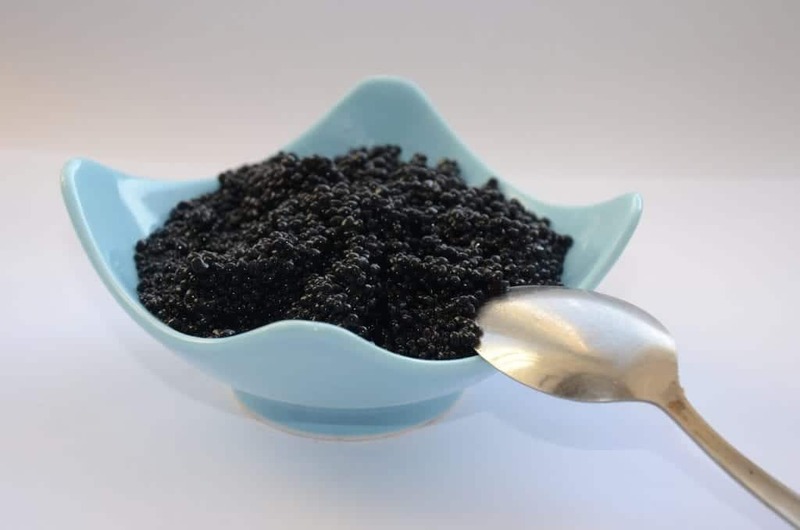 I have never tried good caviar, I am so curious how it tastes. Never been to Russia but it seems to be a very Russian thing to try. You open my eyes to a new destination. I never knew Sochi has so many places around to visit. Well, I would say it’s kind of similar but still different. Definitely a must-try. I’m glad this article gave you some inspiration to visit Sochi. I know very little about Sochi, except for when they hosted the Winter Olympics. No doubt the ski resorts are amazing there and the snow is world class! Love there is so much nature to be enjoyed in Sochi like the many waterfalls and the Botanical Gardens. I reckon I would find Stalin’s holiday home so fascinating especially since his personal belongings are still in tact and oh my, that caviar!!!! Looks so fresh and delicious. That’s how most people heard about this place, Amy. However, it still remains relatively unfrequented by foreigners even though there are a lot of local tourists. I hope you get the chance to visit and experience this place for yourself someday. Thank you, Amar. I’m really glad to hear you liked this post and that you learned a few new things about Sochi. I have heard about the beaches on Sochi and the Olympic Park of course, but I never realised Sochi is such a big place. And that there is so much to see. Like everything from caverns to national parks. One place I would definitely like to visit is the Stalin´s holiday house. I like all the historical places and it looks very interesting from outside. I’m glad you could learn a few new things about Sochi, Paula. To be honest, I never thought Sochi would look like this – mountains and ocean in one close area. I like the idea of visiting the 33 waterfalls and the Dagomys Tea Plantation. 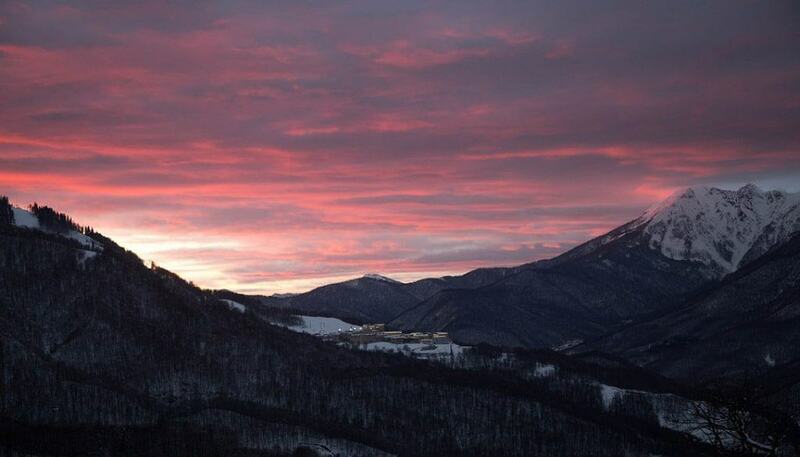 Great photo of the sunset overlooking the National Park. There is so much to do and see there, it looks like I will have to put aside a week to visit. Thanks for sharing. Those gorgeous mountains with snow is such a beautiful sight like a wallpaper in my laptop! I heard about Sochi from the previous Olympic games and I am impressed how beautiful it is. I need to apply my travel visa to visit Russia in the near future. Thank you, Blair. I’m glad you liked this post and that you learned a few new things about Sochi. If there’s one type of destinations I prefer is one that offers variety and that’s what Sochi seems to be all about. Mountains on one side and the beach on the other is just paradise. Have never visited Russia but I will definitely keep Sochi as a must visit destination in mind when I do. Lovely list of things to do! The aquarium looks so amazing and how you can walk through it. being a fan of outdoor activities, we would love to go to those waterfalls. Thank you, Bilal- I’m glad you liked it. Thank you, Rajat- I’m glad you liked it. I am currently trying to learn Russian while putting together all the info I can gather about the country. I have always left Sochi out of my plans so far, but I would not want to miss seeing the world’s most Nordic tea plantation! Thanks for the very comprehensive list! I am convinced to visit Sochi now! The Ski Resorts look amazing and World Class! I am not much into Skiing right now but I would love to visit this summer beach resort of Russia. The palm-filled Arboretum, the neoclassical buildings such as the columned Winter Theatre, the forested Sochi National Park and the Caucasus Mountains all sound visit worthy!